The Jaluit Photo: What's Wrong With This Picture? The more we learn about this photo, the worse it gets. The whole premise behind the “discovery” of this picture is that it was misfiled. Is that true? The caption at the bottom says it’s a photo of Jaluit Harbor. 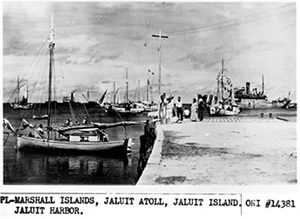 Jaluit was the headquarters for the Japanese in the Marshall islands. 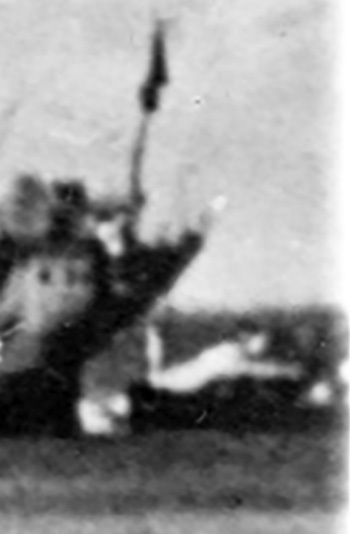 The photo was exactly where it should be, among documents collected by U.S. sources in anticipation of the 1944 invasion of the Marshall Islands. 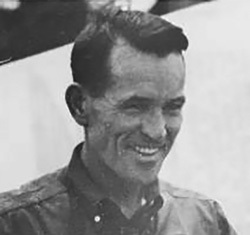 But when Kinney saw what, in his mind, were Amelia Earhart and Fred Noonan he decided that the photo must have been misfiled. “This was a mistake. This was never meant to be there,” he said. The National Archives apparently disagrees. The photo is still right where it was. 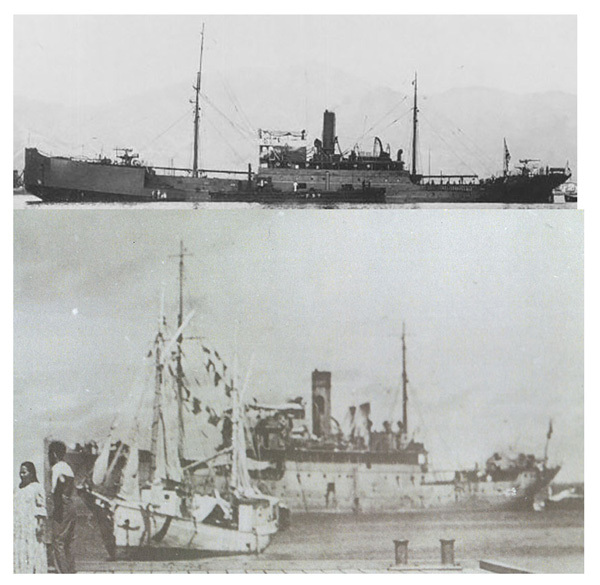 The ship in the background is alleged to be the Japanese survey ship Koshu towing a barge carrying Earhart’s Lockheed Electra - but the ship is smaller than the Koshu and whatever is behind it is just an indistinct blob. There is no reason to think the photo was misfiled, so everything hinges upon whether Amelia Earhart and Fred Noonan accidentally happen to be in this picture of Jaluit Harbor. It is possible to construct tortured explanations for why there are no soldiers guarding the prisoners, why Earhart’s and Noonan’s clothes are wrong, and why Amelia’s hair is too long, but to identify people we must see their faces. 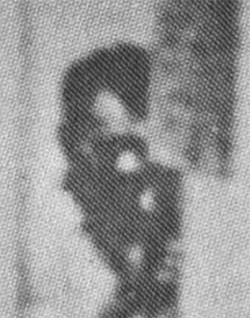 We can’t see the face of the person sitting on the dock, but we can see some of the man’s face. He has supposedly been identified by overlaying a photo of Fred Noonan and matching his receding hairline. 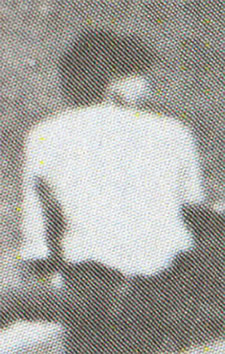 However,the photograph of Fred Noonan has been flipped (horizontally reversed) to create the illusion that it matches the man on the dock. 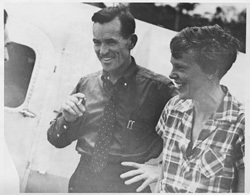 The photo is cropped from a shot of Earhart and Noonan in Caripito, Venezuela. Noonan parted his hair on the left, not the right. His actual hair line does not match the man in the photo. The photo was not misfiled. The person alleged to be Amelia cannot be identified. The man is not Noonan. The ship is not the Koshu. There is no barge with an airplane. TIGHAR will continue our investigation of this fiasco.